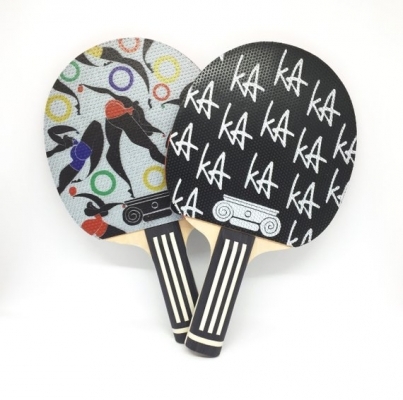 Specially commissioned table tennis bat produced by the Art of Ping Pong and artist Kelly Anna. Double sided print onto short pimpled rubber. Enjoy the artwork and play ping pong at the same time! Short pimpled rubber with print. Different print on each side of bat and custom produced straight handled blade.